Unicaja Malaga handed Maccabi Electra Tel Aviv its first loss of the Turkish Airlines Euroleague season, 62-64, on Thursday night at Nokia Arena. 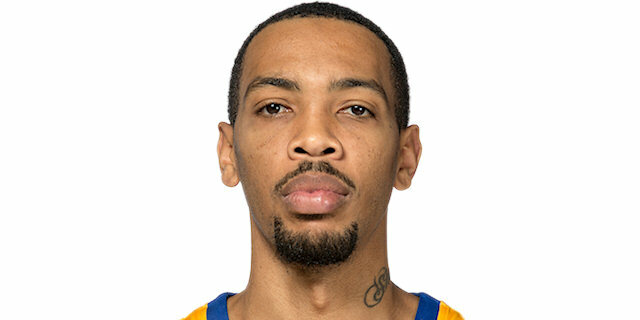 Marcus Williams helped Unicaja take the lead late in a tightly contested fourth quarter and Maccabi was unable to score on its final possession. The result extends Unicaja’s winning streak to five games and leaves the two teams tied atop Group B at 5-1. 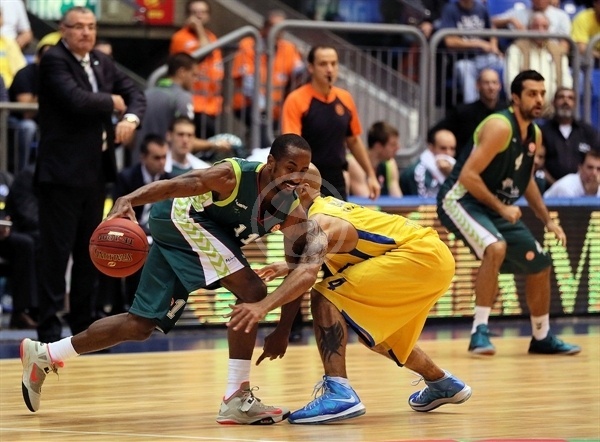 Williams led a well-balanced Unicaja attack with 12 points and Zoran Dragic added 10. Shawn James tallied 14 points and 9 rebounds, Ricky Hickman added 13 points and 5 steals and Malcolm Thomas scored 10 in defeat. 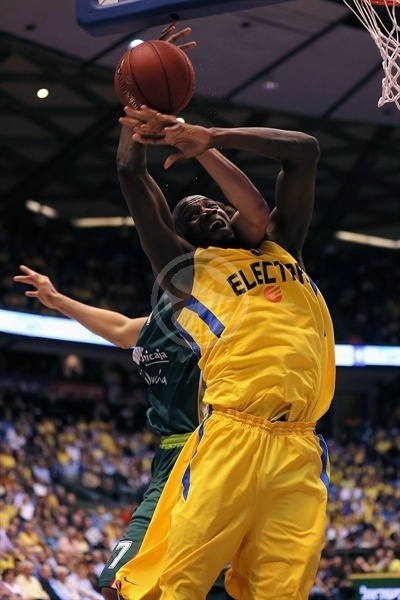 Maccabi won the opening tip and Shawn James corrected his own miss for the game’s first points. Txemi Urtasun drilled a wide-open three-pointer to get the visitors on the scoreboard. 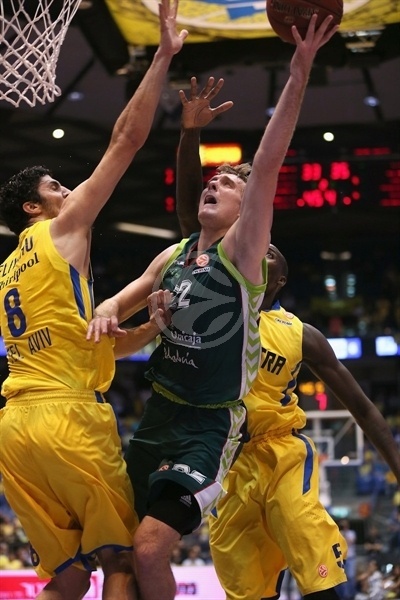 Zoran Dragic heated up early and nailed a triple to give Unicaja a 4-8 edge. 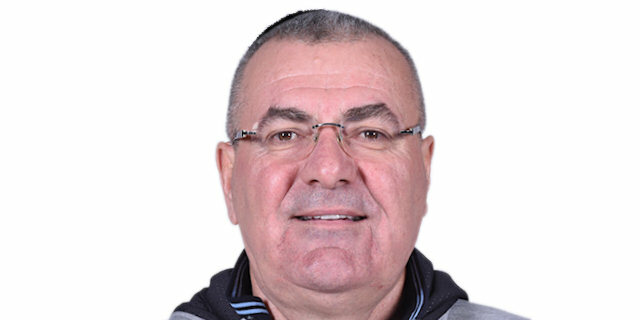 Earl Calloway connected from downtown as the lead grew to 5, but Maccabi came right back through Yogev Ohayon’s basket-plus-foul and a Ricky Hickman three-pointer. The team traded shots and the scoreboard showed ties twice. Lior Eliyahu’s trademark push shot put Maccabi ahead before Malcolm Thomas created highlights at both ends with a wicked one-handed slam and a rejection of Luka Zoric at the other as the hosts grabbed a 21-17 lead through 10 minutes. Devin Smith extended the hosts’ lead to 6, but a James Gist triple followed by a bucket by Krunoslav Simon brought Unicaja within 1. Thomas took a pass from Ohayon and rocked the rim to keep the hosts on top, 25-22. Hickman got the lead back to 6 midway through the quarter. The Maccabi guard continued to wreak havoc, both with his defensive pressure and speed on the break. Calloway carved up the Maccabi defense for an impressive layup and then Marcus Williams drained a three over the outstretched arm of Sylven Landesberg as Unicaja climbed within 32-31. Fran Vazquez got a shooter’s bounce on his jumper as the visitors took the lead, though Hickman got a similar roll on the next play. The lead continued to switch hands as Dragic attacked the basket for a three-point play before James scored inside. Gist provided a highlight by rescuing a blocked Dragic shot for a slam, which landed Unicaja a 37-38 halftime lead. Thomas continued to look strong at both ends and Ohayon converted a circus shot as Maccabi regained the lead, but Urtasun kept Unicaja close with a jumper. Simon knotted the score at 45-45 with a big three midway through the quarter. The teams traded points before Giorgi Shermadini came through with a two-handed slam at one end and drew an offensive foul at the other. However Kosta Perovic scored inside on the buzzer to even things at 49-49 through three quarters. 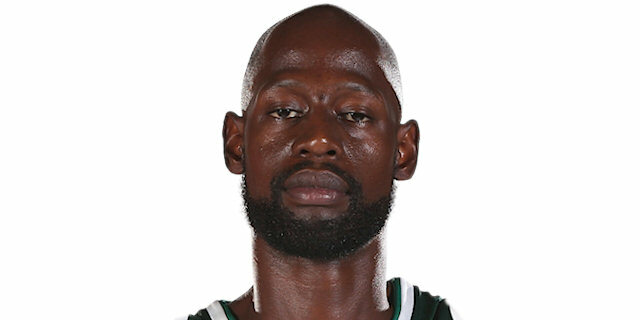 Unicaja was back on top a minute into the fourth quarter when Simon lobbed a pass to Gist for a rim-rocking alley-oop slam. 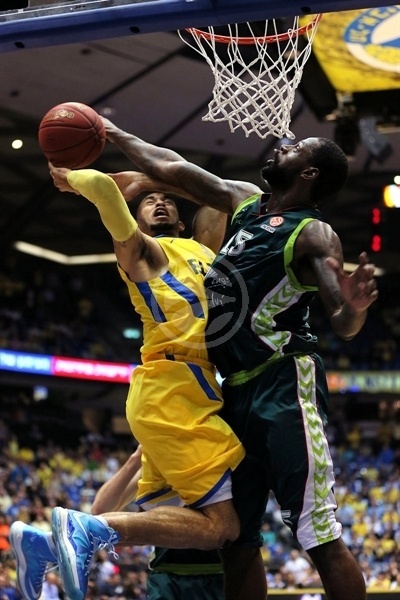 Williams buried a three as Nokia Arena fell silent and Maccabi took a timeout down 5. James brought about some cheers with an offensive rebound, basket and foul, but Williams extended the lead again with a triple. Perovic fouled out, but that didn’t effect Unicaja. Augusto Lima was called for an unsportsmanlike foul for hammering James in the paint. 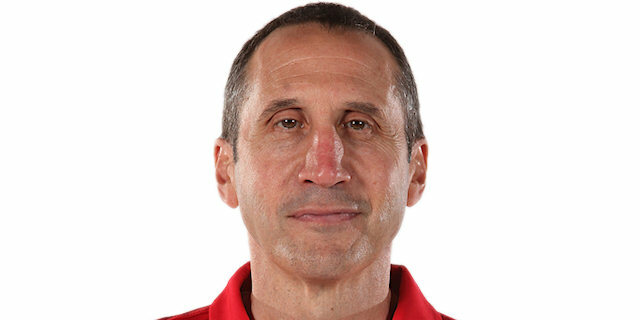 James made 2 free throws, and then 2 more after drawing a foul on the resulting possession, to make it 55-57 with just under five minutes to play. Zoric gave the visitor breathing room with a fadeaway jumper with three minutes to go, however David Logan nailed a three for his first points on the ensuing possession. Then Logan attacked the basket, drew a foul and evened the score at 59-59. 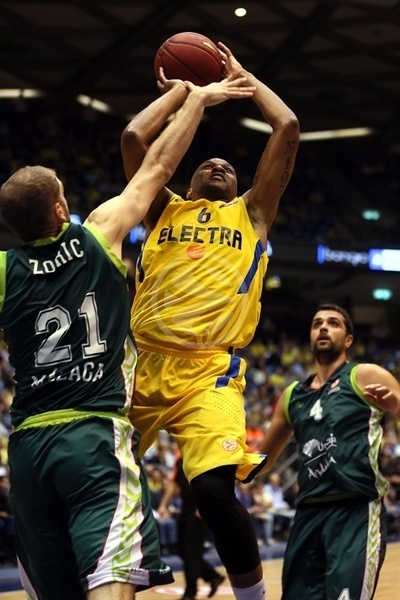 Gist fouled out stopping Thomas, who put Maccabi on top with a free throw with 2:07 on the clock. Simon lifted Unicaja with a daring drive, Logan restored a Maccabi edge with 2 free throws, then Williams made it 62-63 with a jumper with 55 seconds remaining. Ohayon missed a three and James was also unsuccessful with the offensive rebound. 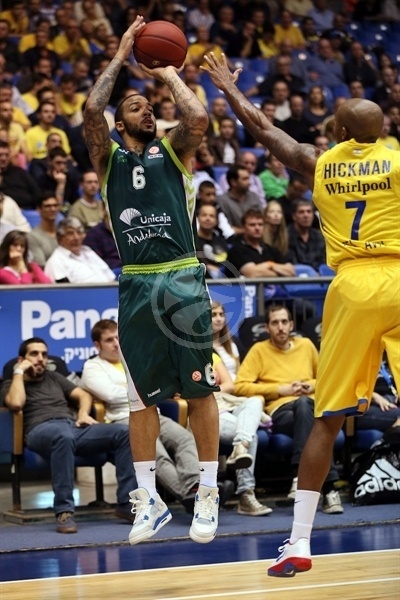 Williams split free throws with 23.2 seconds left, leaving Maccabi with a final possession. Hickman drove, but missed a bank shot and the rebounded fell to the visitors, who held on for the win. "We scored a lot of points from the free throw line, but in the second half we scored only 25 points, which is something we usually do in one quarter. It's tough to lose at home. We didn't take good decisions in the last stretch of the game, and Unicaja hit some big shots. When you play a close game that's what makes the difference. We'll use this loss to grow and get better. That's the only way to play this game." "It was a very important game. We came here with a big desire to win, because we needed to show first to ourselves and then to the rest of the people that we can make a big Euroleague win and it doesn't get much bigger than to beat Maccabi in Tel Aviv. It was a very difficult game, and we didn't expect anything else. 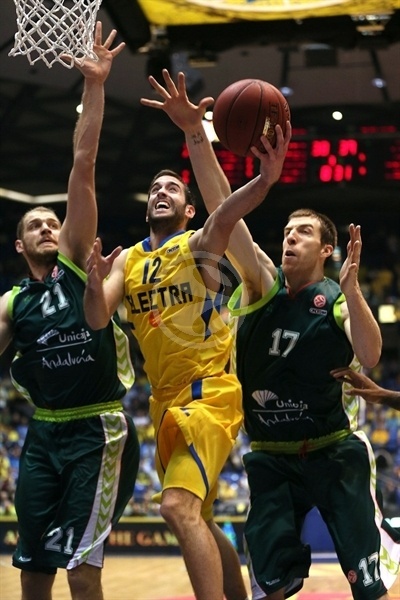 Maccabi gave us a big fight, but we were mentally strong and got this very important win. Now we have the same record as Maccabi and we can fight for the top spot in the group." "Our offense didn't work today. We played hard but we didn't execute like we usually do. Malaga is a tough team. They have a lot of big guys and it made it tougher for us to score around the rim. We wanted to win tonight for our fans, and we'll have to make it up for them. 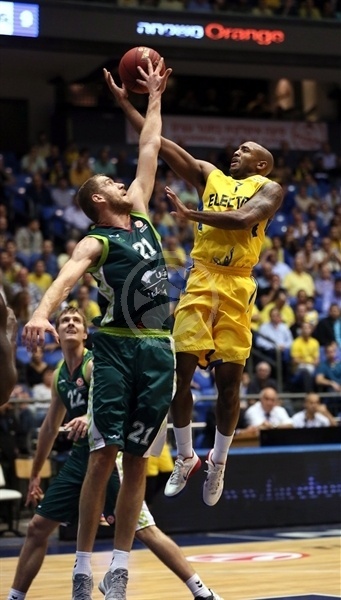 We lost the first in the Euroleague this season, and I hope it's going to be the last. We don't like to lose. We'll need to bounce from it quicky. We still in a good position to win the group." "Big win for us. We lost the first game to Maccabi in a close way, and we knew we can match them. They are a very tough team and when they play at home it's even tougher. We need to stay humble and focus on the next game. We'll be happy tonight and tomorrow morning it's a whole new thing. We were in the game for 40 minutes and were a bit better in the last minutes to take this win. We wanted to show that we can win in Tel Aviv where not many teams can win. I'm really happy we managed to do that."